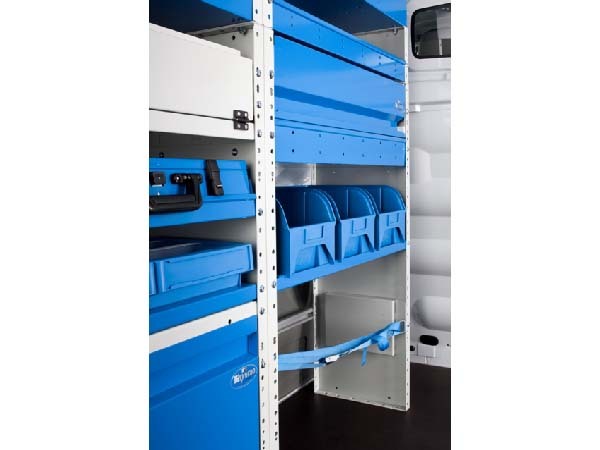 Shelving forms an essential part of most Syncro System van storage installations. Shelving cabinets are simple yet functional. Broad, easy-access shelves provide plenty of space for storing tools and materials. What are Syncro shelves made of? 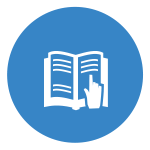 Syncro System shelves are made from materials characterised by light weight and mechanical strength. 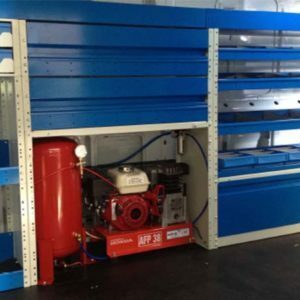 The actual shelves are made from high strength steel while their dividers are made from lightweight aluminium. These different materials have been carefully chosen to serve different purposes: while strength is essential for the shelf structure, internal parts that do not support much weight should be as light as possible. Syncro shelving is also made lighter by a clever cut-away design that eliminates unnecessary, non-structural metal, dramatically reducing weight in the process. 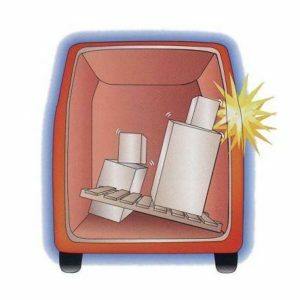 The non-slip mats supplied as standard with all shelves are made from a rubber material with a core of nylon threads. 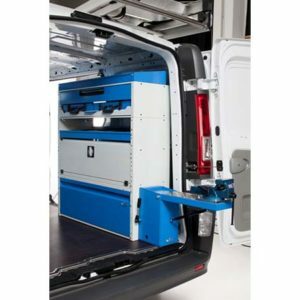 This special material provides maximise grip for whatever tools or parts are stowed on the shelf. It is also UV resistant and immune to attack by oils and other aggressive liquids. 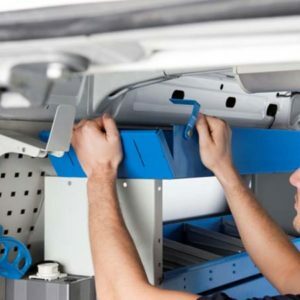 How is Syncro System shelving made? 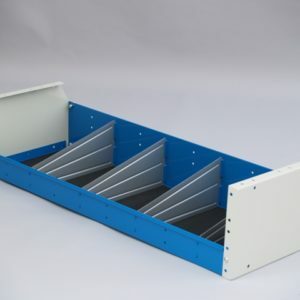 Most Syncro System shelves consist of two side plates and a tray with raised edges at the front and back and, of course, a bottom. 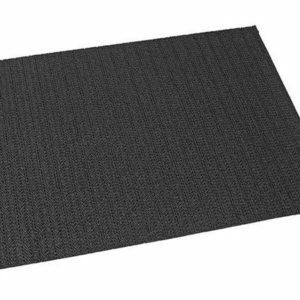 The bottom is covered by a non-slip mat. Shelf dividers are available on request. Between one and twelve can be fitted, depending on the length of the shelf, to organise space as needed. Depending on the type of shelf, there may also be additional components. open, for easy access to contents. Both types are identical in terms of structure. 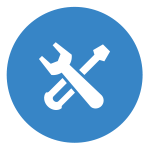 The access door can be requested as original equipment or fitted at a later stage without having to modify the basic shelf. top, with low, trapezoid-shaped sides to fit more easily under the van’s roof. Syncro shelves vary in design not only according to their position but according to their function too. 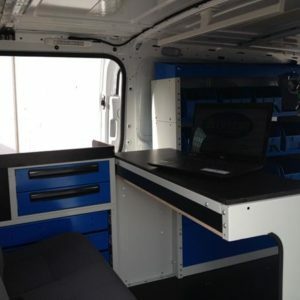 The simple shelf with side plates is the most popular type in the Syncro catalogue. 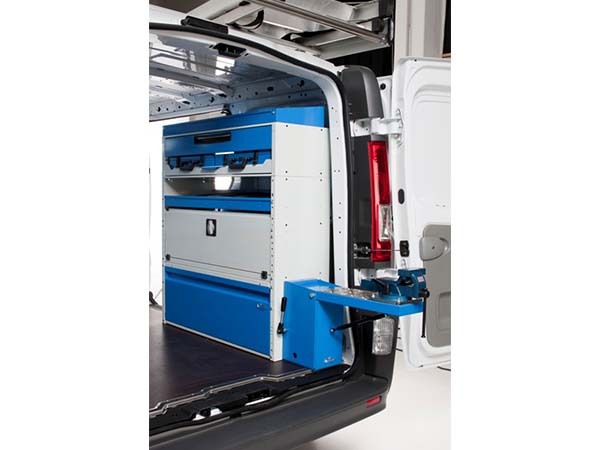 This provides the perfect solution for carrying bulky materials like boxes and large cases. 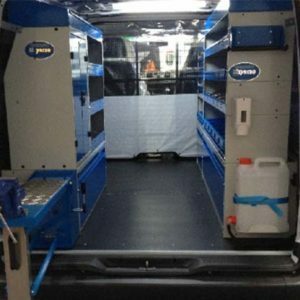 It has a fixed front edge or a fold-down front access door and can also be equipped with a fully opening, parallelogram action door that gives unrestricted front access. 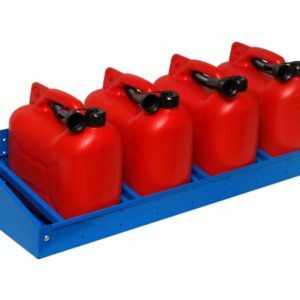 Our catalogue also contains canister racks, shelves that are specially designed to carry 10-litre canisters in complete safety. 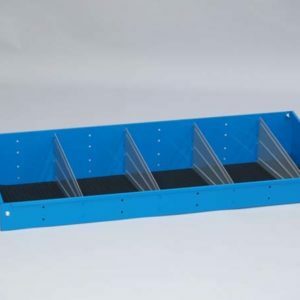 Sloping case trays are another type of Syncro System shelf. 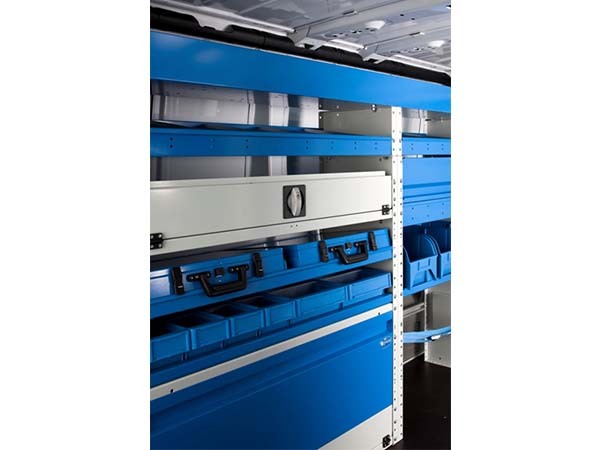 These are ideal for storing and securing tool cases and component cases and are extremely popular with electricians, plumbers and other tradesmen who work at customers’ homes and on construction sites. 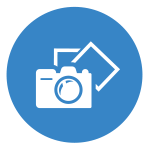 In addition to Syncro’s own tool and component cases, Syncro case trays can also hold other makes of plastic, steel and aluminium cases. 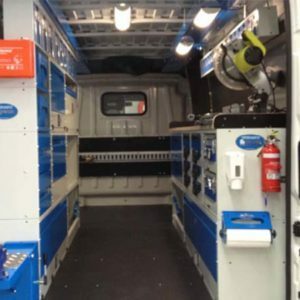 Thanks to movable stop-plates, they adapt perfectly to all sizes of case. And you can always add a lashing strap for maximum security. Finally, Syncro also supplies shelves with spacious, removable and portable containers that hold everything you need for your work.